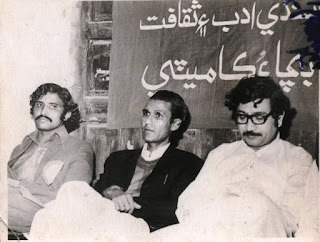 Rasool Bux Palijo, Chairman Awami Tehreek, has a large followings in Sindh and certain other pockets. Mr. Palejo has been influential politician and activist. He was born in District Thatta on September 21, 1930. He has also been Secretary General Awami National Party (Walli) under the leadership of Walli Khan. His active political career spreads on the last four decades of Pakistan’s history. He has been linked in different capacities with major socio political developments in national life. He is well read and eloquent politician who has been practicing socialist ideas in different forms at different levels. Mr. Palijo in a very candid and informal way shared his early life, schooling, college and university days. He told that he had a penchant for social reforms since childhood. He had a strong religious frame of mind, as his family temperament was quite religious. He read various novels based on the campaigns of Muslim Generals and their exploits in far off lands. He told that organized theft was a heroic occupation in his area, during his adolescence. People would praise and fear those involved in that field. Just to prove that he and his friends could do any thing that is regarded difficult or impossible. He formed an association of young thieves. He led that association. He failed in the annual exam, because he devoted more time to the newly formed association than his own studies. 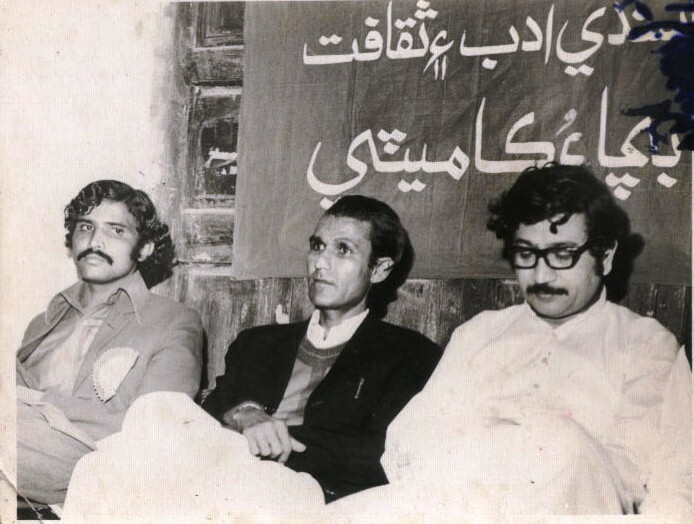 He also talked about his interaction with Zulfiqar Ali Bhutto and how he sought advice from various politicians like Ameen Faheem, Shaikh Ayyaz( a poet), and himself at the time of Shimla Accord and the difficult times of 1971. G.M Syed, he told, was a strong Sindhi leader and termed Bhutto as agent of the Punjab and traitor of Sindh. G.M Syed at one time even banned Bhutto entering Sindh, his home province. Mr. Palejo told that he tried to convince G.M Syed to allow Bhutto the political freedom to interact with the people. 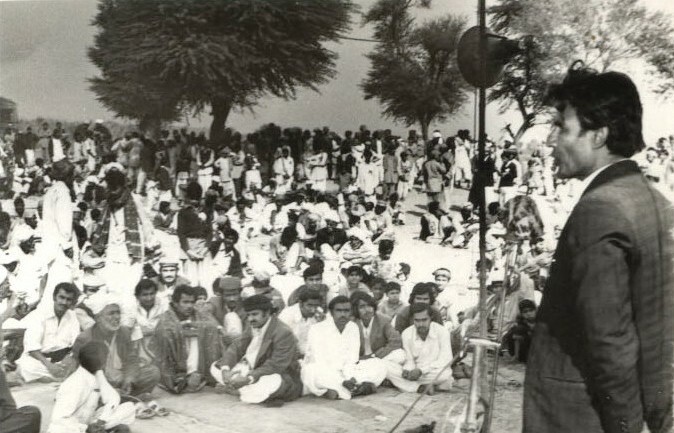 Palejo commented that “Bhutto was a brilliant tactician not a political strategist. He had no bigger historical picture in his mind”. About MQM he said they are playing the same role as Kurds (in Iraq?). He also told that he is the first matriculate of his village. His father was Patwaari in revenue department. I did matriculation in 1947, met Mr. Jinnah many times. I did law but started practical life as reporter and became assistant editor. The political education and awareness among Sindhis owes a lot to the teachers of that province. Nawab Bahadar Yar Jung was an excellent orator. I had good English by the time I did matriculation, but Mr. Jinnah’s speeches were difficult to understand at that time. Coming to the current political situations in the countery, he told that in last week SM Zafar asked me what is the future of Pakistan? I told Pakistan has no future. I have convinced Sindhi people that 1973 Constitution is not accepted to Sindhis. My intellectual grooming has been by one of my teachers, who was Muslim but he would neither say prayer nor observe fast but he was a man of strong integrity. The other source of inspiration was M.N Roy. Commenting on the current form of new imperialism, he said a long historical span is needed before the real spirit of socialism can be restored and brought to the force. For this you have to have an ideology that no political party other than Awami Tehreek, has today. Talking about his meetings with Dr. Najeeb, he told that Ajmal Khattak would be translator during my chat with Najeeb. Commenting on early communist party in Pakistan, he said all the communists were members of congress before 1947. There was no indigenous element. The support and inspiration all came from out side. He revealed that even Jinnah was expelled from Muslim league in 1948 and was replaced by Ch. Khaleeq Zaman. He also told that Muhammad Ali Jinnah was a lone fighter for the cause of freedom. He was nationalist. But all other contemporary politicians were not that gracious. Jinnah was aware of shortsightedness of his political cronies in Muslim League.